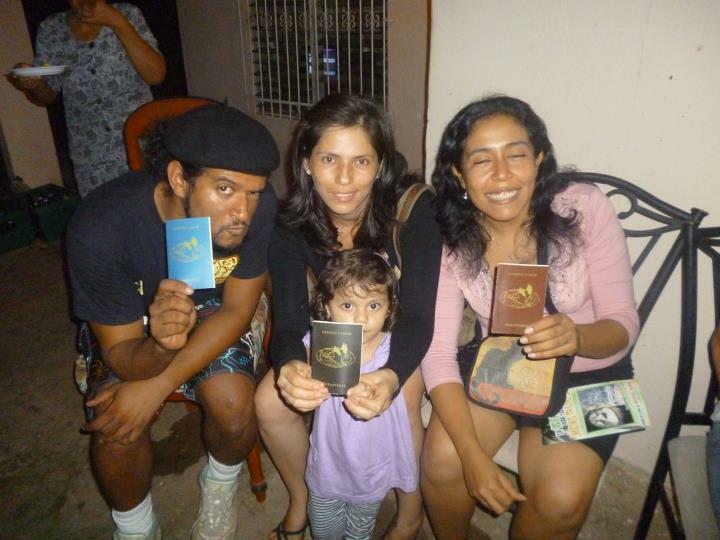 The Passport poem has been used in schools in Luxembourg, France and Panama. In March-April 2013, Compagnie D'autres Cordes performed their musical adaptation of Passeport in around a dozen schools in the Languedoc-Roussillon region, in collaboration with RESF and La Cimade (Sète). 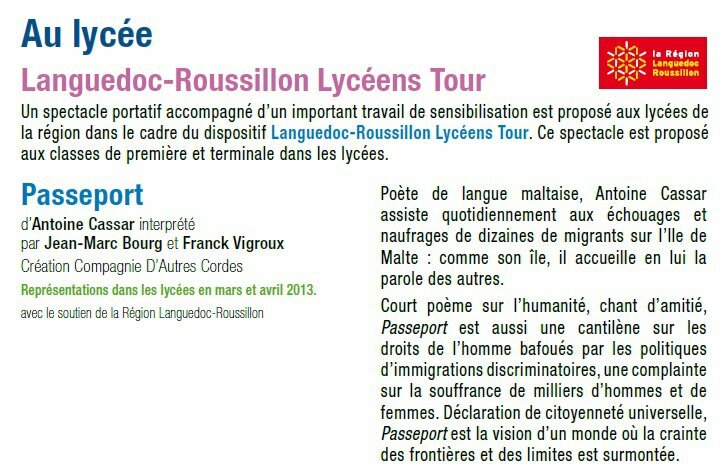 In May 2014, the Europe on the Move - Migration conference hosted by Lycée Michel Rodange, Luxembourg, offered a poetic Passport to each of the 70 participating students, from 14 different countries.